Colors currently found in Lipizzaners: Gray (most common), black and bay. Chestnut is rare and the cream gene is present along with roan. ​Lippizaner mares are to be named with the first letter of the dam name. Lippizaner stallions are to be named with the first word of the Sire's name and the name of the dam. Incitato Baron-1982 black tobiano. Sired by Incitato X (r), out of Baroness. Conversano Bierra-1990 gray (bay base). Sired by Conversano V Piouette, out of Bierra. Bred by WMHS and adopted from Cindi Nakagawa. 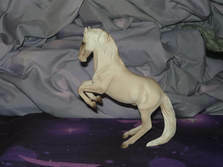 OF Franklin Mint, Great Horses of the World Lipizzan. Pluto Plutona-1994 gray (black base) Lippizaner. Sired by Pluto Indola-r, out of Plutona-r.
OF Grand Champion, Captain Courageous. Siglavy Beladone-2004 black. Sired by Siglavy Aga (r), out of Beladona (r). Favory Fonto-2005 gray (black base). Sired by 4264 Favory Flamingo (r), out of Incitato II-1 (r). Bred in Hungary and imported. Tulipan Igorno-2005 chestnut. Sired by 4231 Tulipan Titan (r), out of Maestoso Mithos (r). Bred in Romania and imported. Chestnut is rare in the breed and I can only find partial pedigrees on the only site I've found that has chestnut Lips. Neapolitano Banshee-2007 black tobiano. Sired by Neapolitano XXIX-18 (r), out of Banshee. 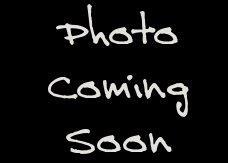 Maestoso Mercury-2008 gray (chestnut base). Sired by 4334 Maestoso Marci (r), out of Maestoso Bogar (r). Bred in Hungary and imported. Tulipan Zippa-2012 buckskin. Sired by Tulipan Igorno, out of Zippa. Tulipan Fahlma-2017 gray (chestnut base). Sired by Tulipan Igorno, out of Fahlma. 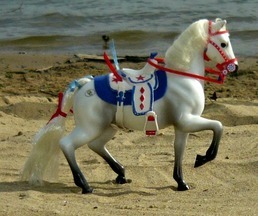 OF ERTL Treasured Horse, Lipizzaner.